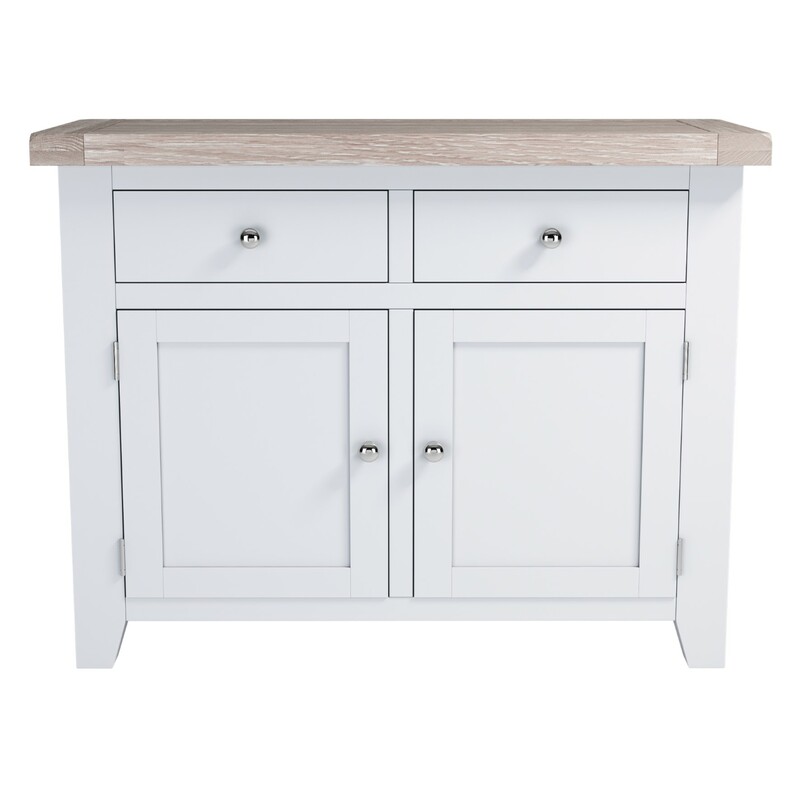 The beautifully crafted, Chalked Oak 2 Door 2 Drawer Sideboard looks amazing in all homes. 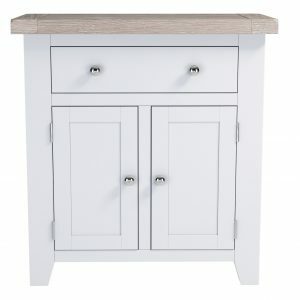 This is an elegant piece of furniture, that would not only provide storage, but also rustic charm to your living area. 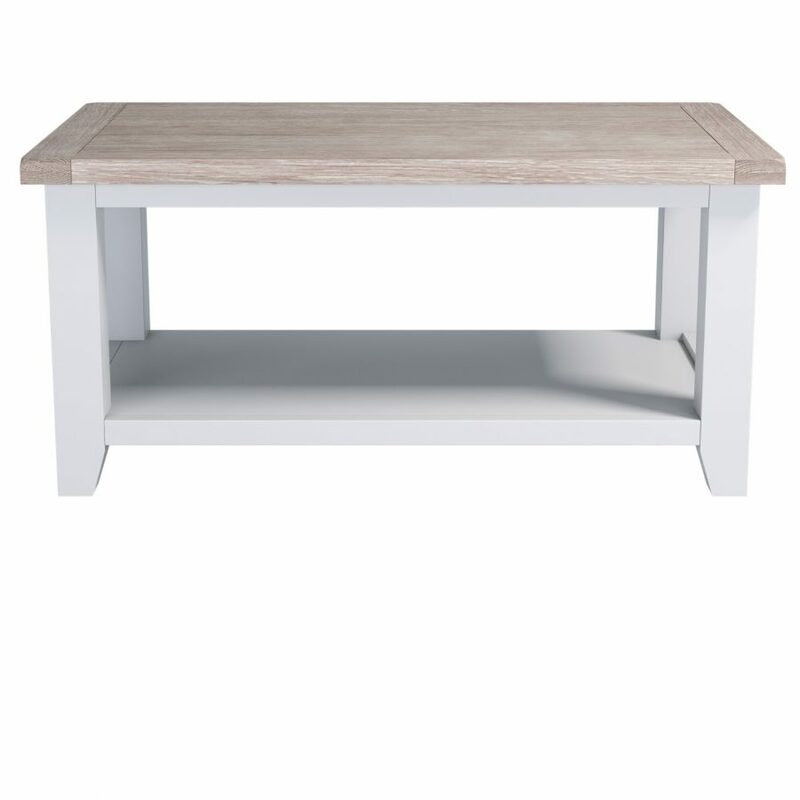 The Chalked Oak Coffee Table with shelf, features a modern look and smooth finish. The Chalked Oak Coffee Table With Drawers, would be perfect in any home. 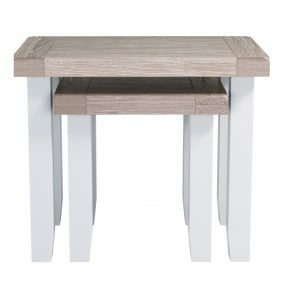 This coffee table is not just a place for coffee or drinks, but also somewhere to display photos and ornaments. 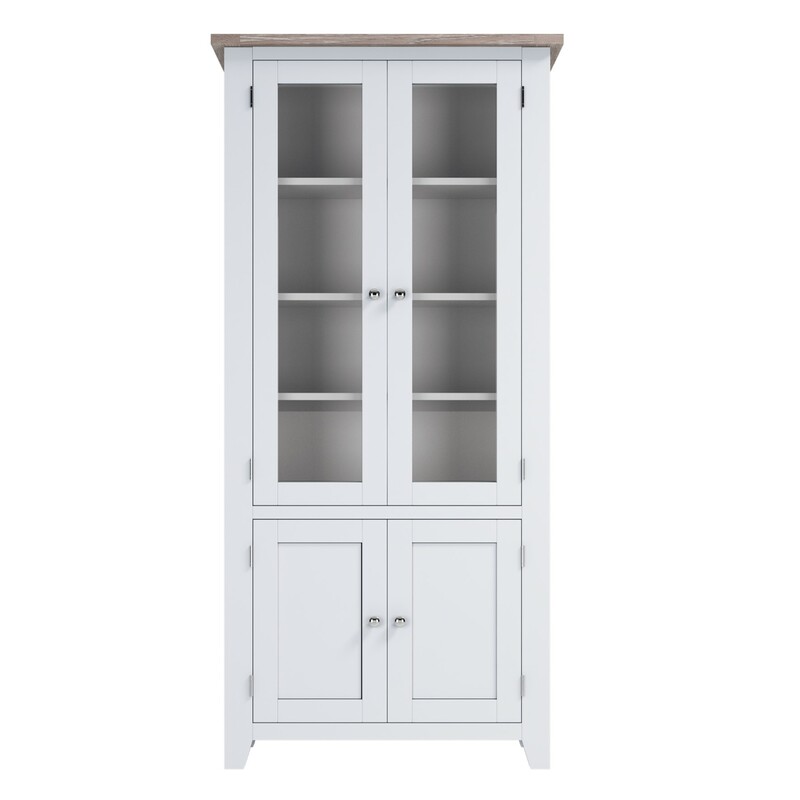 The Chalked Oak Display Cabinet is painted off-white and has a smooth, chalked oak top. 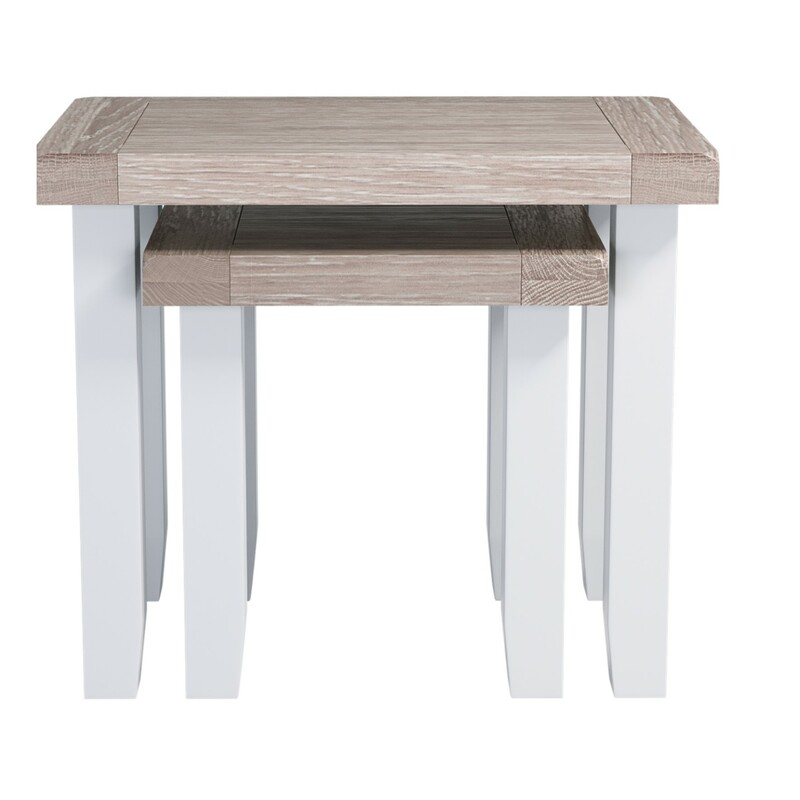 This piece would be the perfect addition to any sitting room. 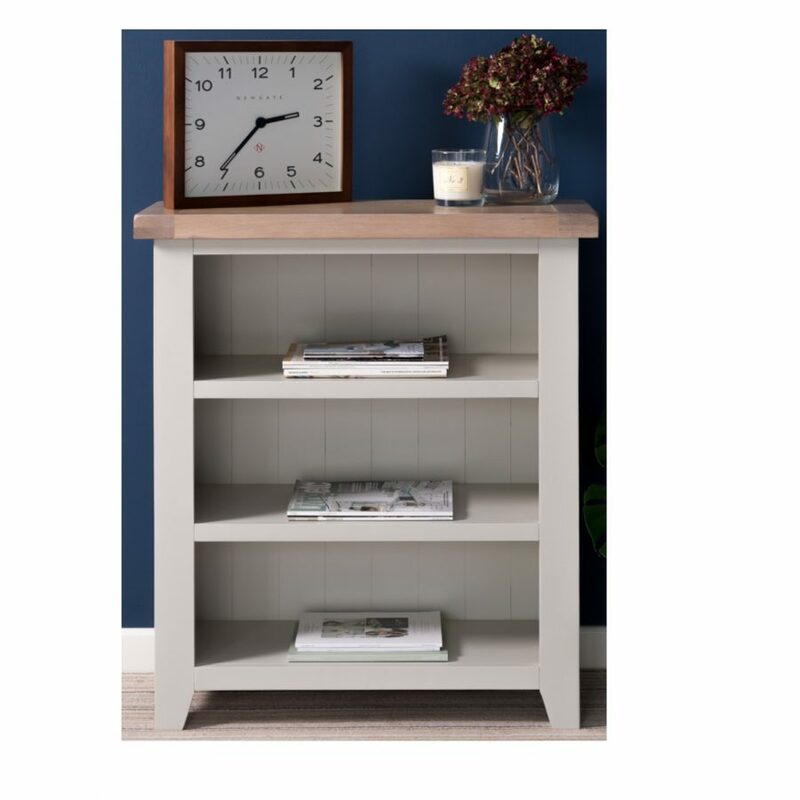 The Chalked Oak Large Bookcase would be the perfect addition to any sitting room. 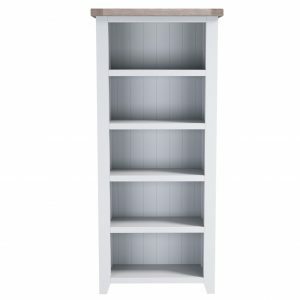 It features five large, spacious shelves that are ideal for storing books, ornaments and pictures. The Chalked Oak Large TV Unit is an eye catching, and modern unit. 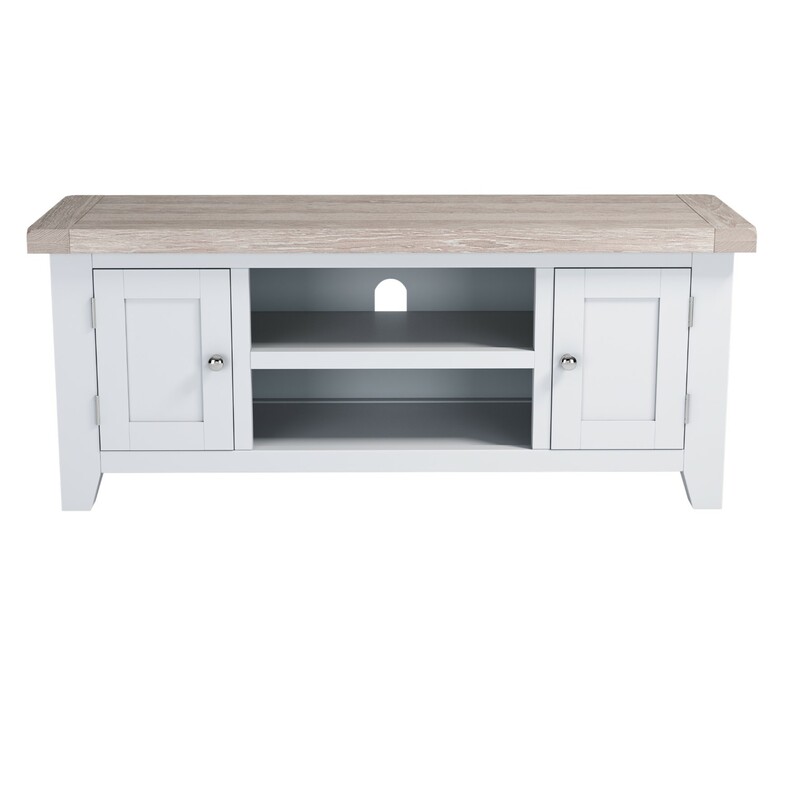 The centre of the unit features a shelving area, perfect for media appliances. 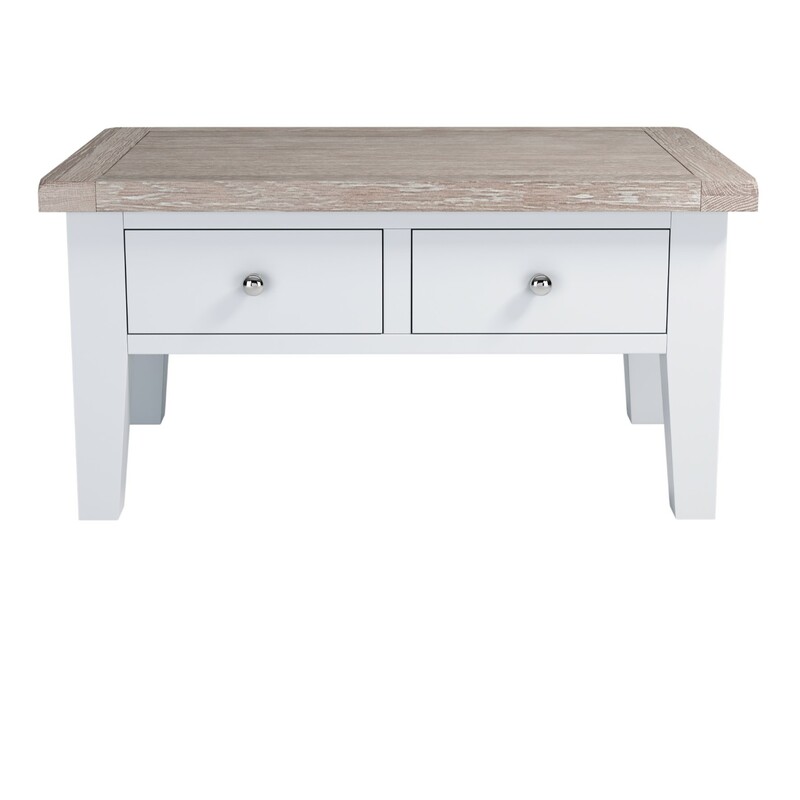 The Chalked Oak Nest Of 2 Tables has a very stylish look. 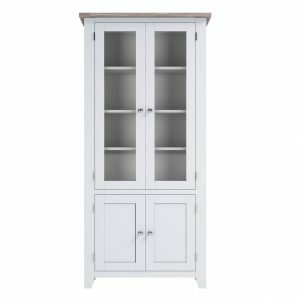 The desirable colour, attracts a keen eye for fashion and would be a credit to any living room. 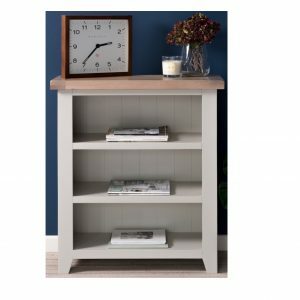 The Chalked Oak Small Bookcase, has a delicately painted off white frame with a smooth, chalked oak top. 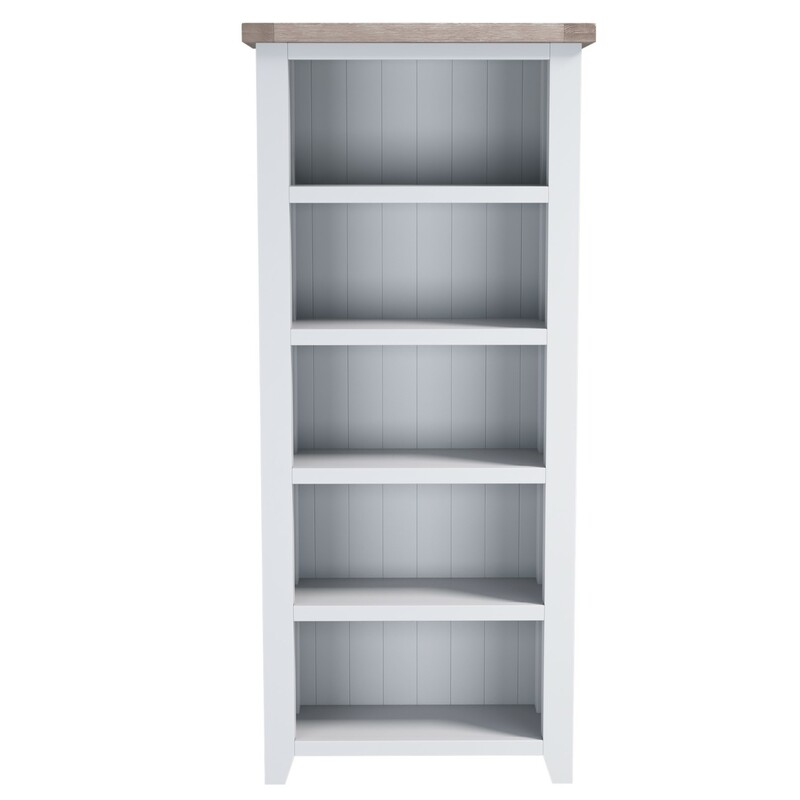 With 3 spacious shelves, the bookcase would be perfect for storing books, ornaments and also pictures. 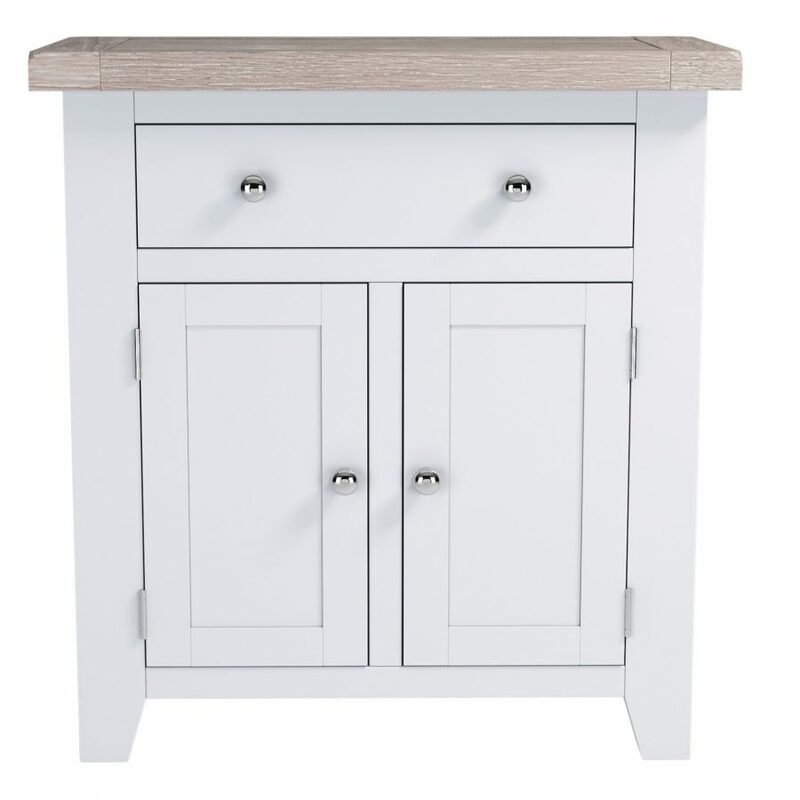 The Chalked Oak Small Sideboard comes with 2 doors, 1 drawer and silver chrome handles. 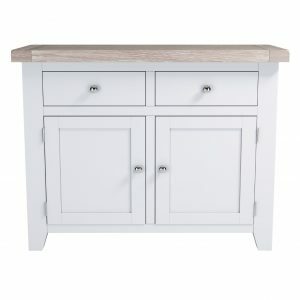 This modern looking sideboard would be perfect for any dining area.